From November 1, 1955 until April 30, 1975, the Vietnam war raged. The United States entered the war on March 8, 1965. It was an unpopular war from the start. Those who protested US involvement felt like it wasn’t our war and we shouldn’t be there. Be that as it may, we were there, and for the time being, we weren’t going anywhere. 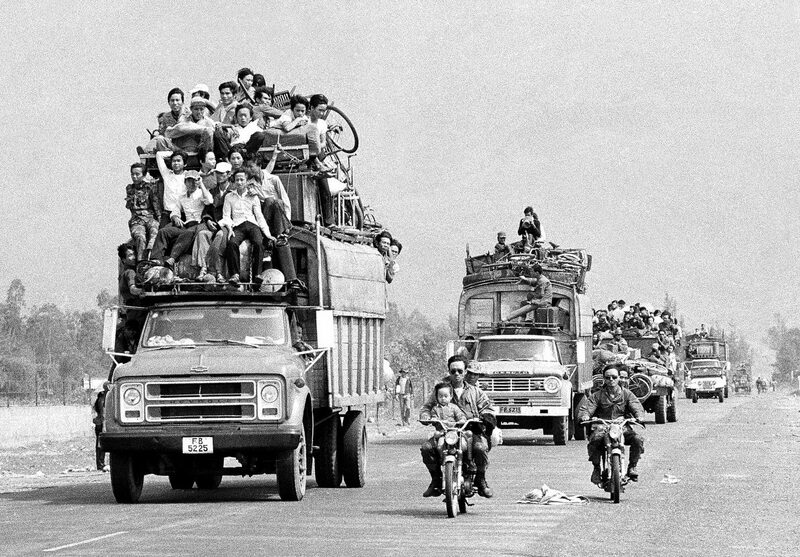 The war was a long one, but on April 30, 1975, it came to an abrupt end, when Saigon fell. 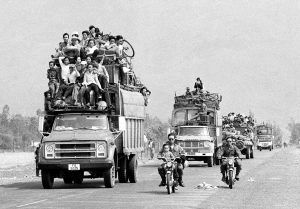 At dawn that spring morning, communist forces moved into Saigon, where they received only sporadic resistance. 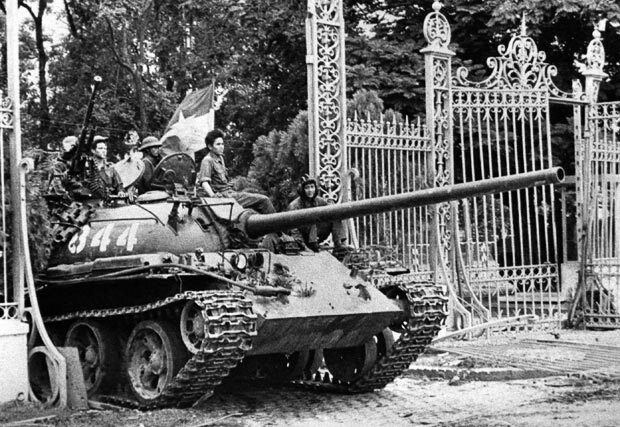 The South Vietnamese forces had collapsed under the rapid advancement of the North Vietnamese. The most recent fighting had begun in December 1974. That was when the North Vietnamese launched a major attack against the lightly defended province of Phuoc Long, which was located due north of Saigon along the Cambodian border, overrunning the provincial capital at Phuoc Binh on January 6, 1975. Despite previous promises, from President Nixon, to provide aid if the communists attacked Saigon, the United States did nothing. The problem…Nixon had resigned from office and his successor, Gerald Ford, was unable to convince a hostile Congress to keep Nixon’s earlier promises to rescue Saigon from communist takeover. The United States had its own set of tumultuous circumstances to deal with at that time. The lack of response from the United States emboldened the North Vietnamese, who launched a new campaign in March 1975. The South Vietnamese forces fell back in total chaos, and once again, the United States did nothing. The South Vietnamese abandoned Pleiku and Kontum in the Highlands with little to no fighting. Then Quang Tri, Hue, and Da Nang fell to the communist onslaught. The North Vietnamese continued to attack south along the coast toward Saigon, defeating the South Vietnamese forces at each encounter. The South Vietnamese 18th Division had fought a valiant battle at Xuan Loc, just to the east of Saigon, destroying three North Vietnamese divisions in the process. They were the only division that seemed capable of continuing the fight. That was to be the last battle in the defense of the Republic of South Vietnam. The South Vietnamese forces held out against the attackers until they ran out of tactical air support and weapons, finally abandoning Xuan Loc to the communists on April 21, 1975. Having crushed the last major organized opposition before Saigon, the North Vietnamese got into position for the final assault. In Saigon, South Vietnamese President Nguyen Van Thieu resigned and transferred authority to Vice President Tran Van Huong before fleeing the city on April 25. By April 27, the North Vietnamese had completely encircled Saigon and began to maneuver for a complete takeover. When they attacked at dawn on April 30, they met little resistance. North Vietnamese tanks crashed through the gates of the Presidential Palace and the war came to an end. North Vietnamese Colonel Bui Tin accepted the surrender from General Duong Van Minh, who had taken over after Tran Van Huong and had only spent only one day in power. Tin explained to Minh, “You have nothing to fear. Between Vietnamese there are no victors and no vanquished. Only the Americans have been beaten. If you are patriots, consider this a moment of joy. The war for our country is over.” Of course, this also meant that Vietnam would be a Communist country, like it or not. This is a guest blog, written by my daughter, Amy Royce, for my birthday. Thank you Amy. I love you. If I had to describe my mom in one word, it would be “selfless.” – Concerned more with the needs and wishes of others than with ones own. That is the definition of my mom. She has shown that in so many ways throughout my life and the lives of those around her. She was at every single game, play, concert or awards assembly when my sister and I were growing up. 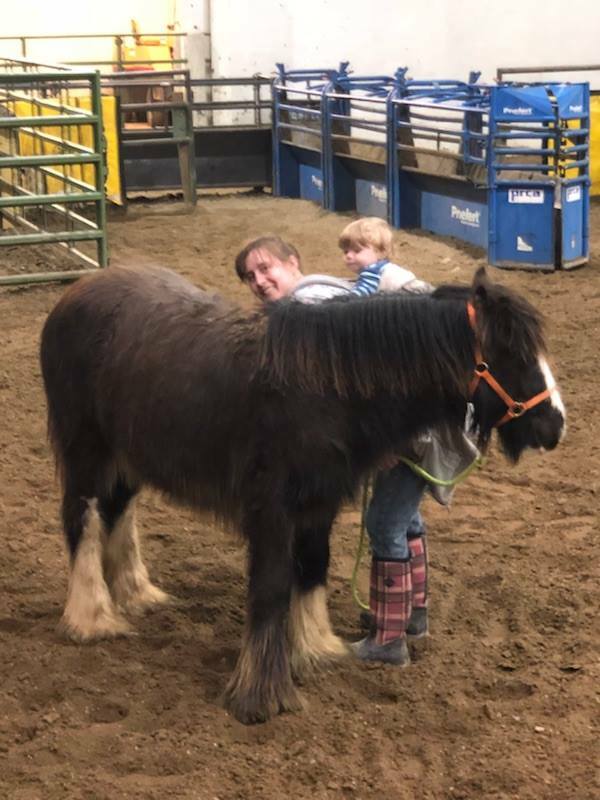 This continued on when my kids and nephews were in school and I have no doubt that she will also be in attendance for all of those things for her great grandchildren as well. She is very excited about the arrival of her first great granddaughter in June. 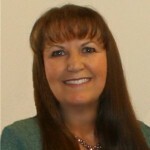 More recently, she had taken on the task of caregiver for family several members. She was always willing to put her needs aside to help them. I know that if someone asks, she will do it again and again. 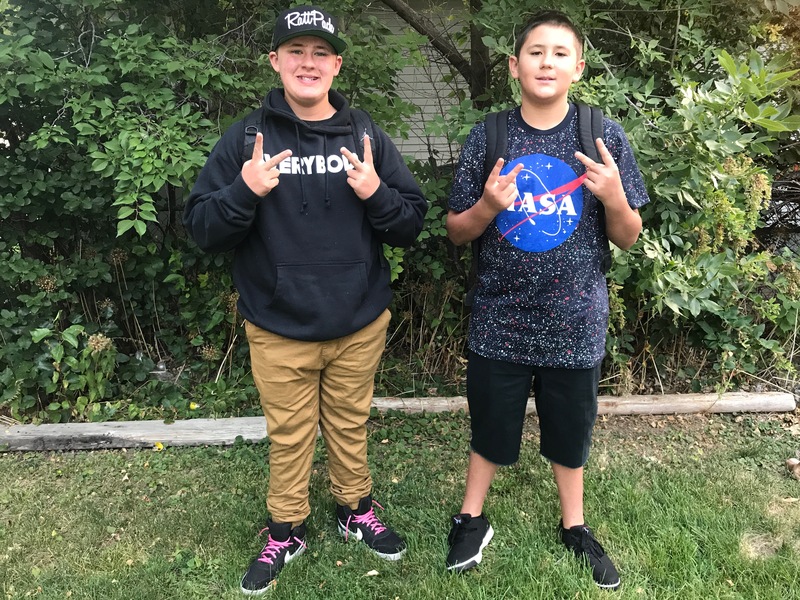 My nephews, Chris and Josh, remember when she would take them to school everyday. She always made sure that they were on time….even if she was having a bad day because she broke her heel or because of a train going back and forth and she was running late for work. (They love bringing this up every now and then! Haha) Not only that, she would pick them up from school and take them to the Boys and Girls Club after school. I remember multiple times when she would take my kids or nephews to work with her when they were sick, just so that my sister and I didn’t have to take time off of our jobs. Chris also told me that now that they are older, if they ever need someone to talk to or guidance through life, she’s always there. This statement is so true! She has been there with words of encouragement for my sister as she is going through nursing school. She is always there, with a willing ear, for me when I have problems in my job. Jenny, my mom’s niece, told me that my mom bought her wedding dress for her. She came to the hospital to see all of her kids when they were born. She even let her move into their house for a couple months when she was a teenager. She loves it that my mom goes over and spends one night a week with her mom, Cheryl. Quite honestly, I could go on for days about how selfless she is, but in addition to all these wonderful things I have told you about my mom, she has found yet another way to make others feel special! On someone’s birthday, when we normally send a quick Facebook or text message, my mom takes the time to write up a complete story. She doesn’t have to….she wants to. Today is my mom’s birthday and this is my story for her. We love you mom. Thank you for all you do…for all of us. Have a great day! 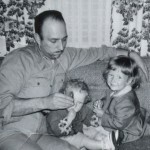 Today, we honor the man who was our dad, Allen Spencer. If a daughter is always a Daddy’s girl, then my dad was very blessed to say that he had five Daddy’s girls. I’m sure that five daughters didn’t seem so much like a big blessing while waiting to get into the bathroom to shave in the morning, but Dad never let that bother him. 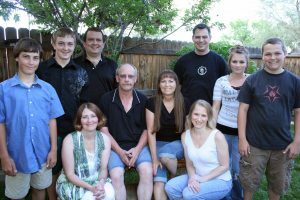 While he truly was more of a night person, he faithfully dragged himself out of bed early every morning so he could get ready for work, before his five daughters descended upon the single bathroom in our home. I truly think that, for our dad, it never mattered that he had just daughters. He loved all his girls, including Mom, Collene Spencer, of course, more than anything in the world. We were all the princesses of his castle and Mom was the queen. Of course, we thought Dad was the greatest too, so it made for a very happy castle. 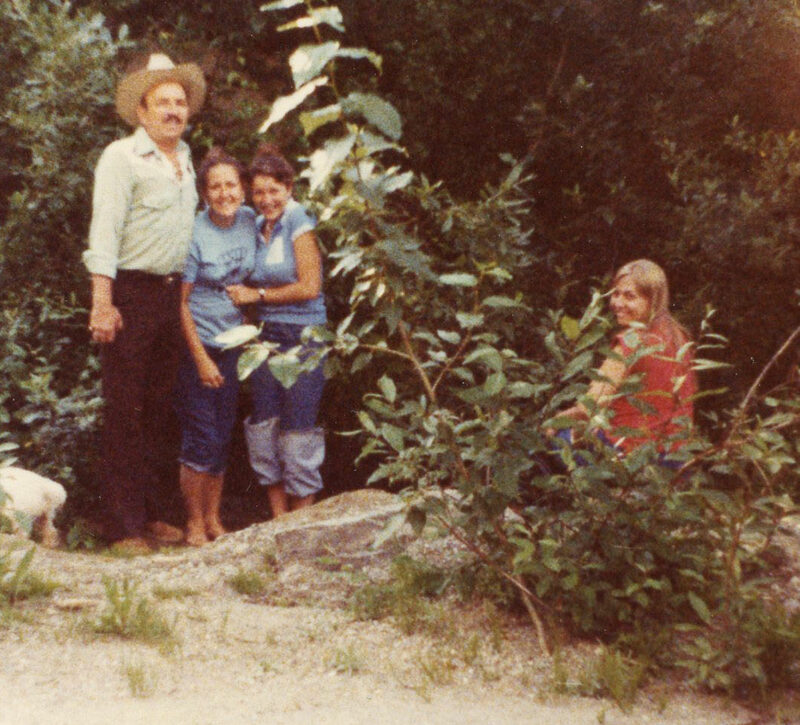 It as home and it was the happiest home in the world, because we had the best parents. Dad was always able to see the solution to a problem, rather that getting caught up in the problem itself. I remember countless times, in my school days, before things somehow clicked in my brain, when I was struggling, and Mom would get very upset about it. She wanted us to do good in school, and to her it seemed that we weren’t trying. Her threat was always, “Wait until your dad gets home! !” Now, that was the one thing that would put fear in us. Not that my mom couldn’t spank, but it always seemed worse when it was Dad…or maybe it was the fear of the unknown…wondering if I had crossed a line that would be my doom!! Then, when Dad got home, he was told about the grade we had or the class we weren’t doing well in, and invariably, he would say, “Well, I guess we are going to have to work on this.” What?? That was it?? Yes, that was it, and I would live to mess up another day. We never failed a class. Dad could always somehow make us understand the subject that was giving us the problem, and we would at least get a C in the class. I wonder where I would have been in school, had it not been for him. 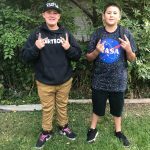 Suddenly in 9th grade, it all clicked in my brain, and my Dad got a break from the struggle, unless my younger sisters had the same issues I did. As I said, Dad was a problem solver, and I’m pretty sure that my mom greatly depended on him to solve any of the problems they had in life. He handled every problem with great ease, and that is why they were such a good team. Mom focused more on the little things, and Dad saw the big picture. There have been so many times in the years since his passing that I have wished that I could go to him for advise. He would have always known just what to do, and it saddens me to know that I can’t go to him, as I know that it does my sisters. Dad always knew how to put the humor back in a situation, and bring the sunshine to a cloudy day. 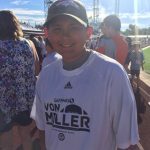 I know that he and Mom, and the other family members are having a great celebration today for his birthday, but then again, there is always a celebration going on in Heaven, so maybe it is just another day. Nevertheless, for us, Daddy’s Girls, today is a very special day…our dad’s 94th birthday. Happy birthday in Heaven Daddy. We love and miss you very much. 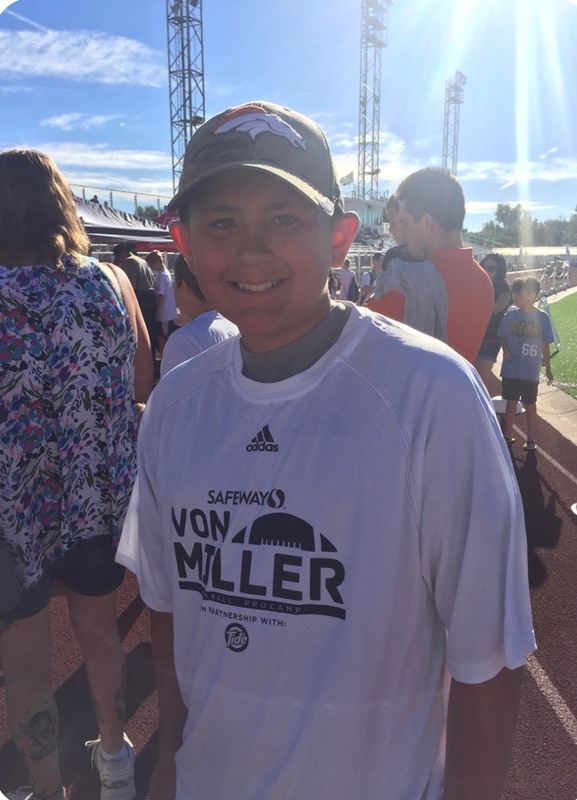 My grandnephew, Zack Spethman is a great kid, but he is quickly growing up and is hardly a kid anymore. 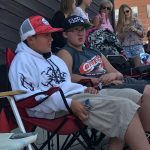 Today he became a teenager, and is just about to finish his first year of middle school. That put him back at the same school and his brother and good friend, Xander. The share many activities, likes and dislikes, and their similar personalities. 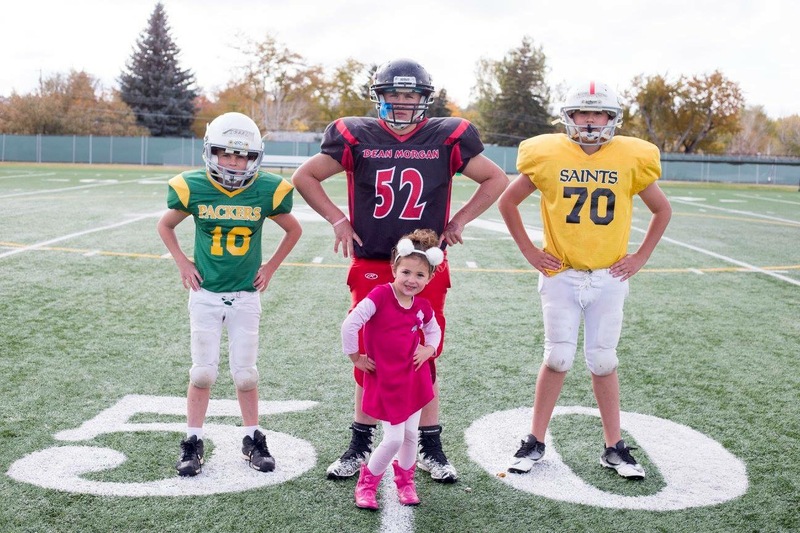 Football is the sport above all sports for them. They love to watch and play. It is a family tradition. 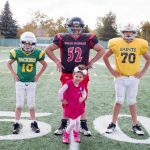 The three Spethman brothers, Xander, Zack, and Isaac rising up through the ranks of school football. It keeps their parents busy with all the games. Of course, football isn’t everything in their lives. Zack loves to climb mountains, play pool, and shoot guns…everything from air guns, to paintball guns, to real guns. 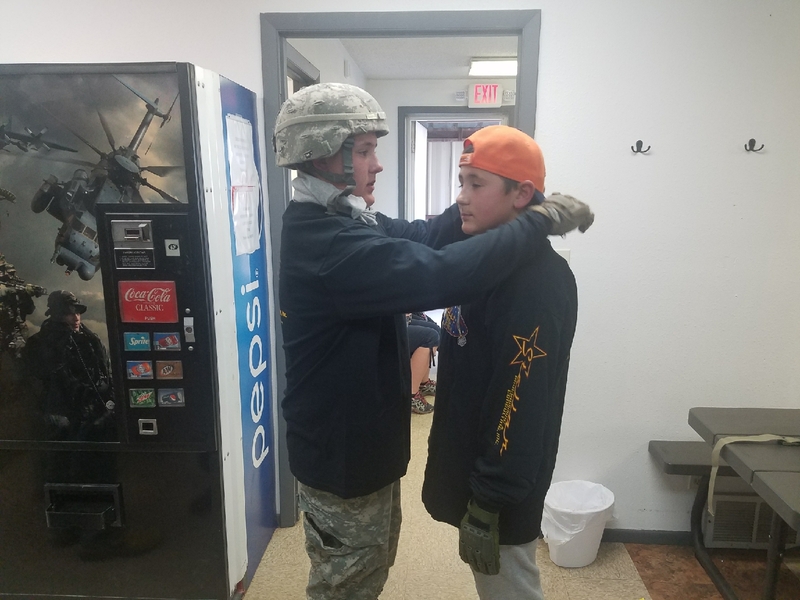 He is a good shot and goes to practice with his family often, but he also knows about gun safety, and has passed the hunter safety course, so he can go hunting. 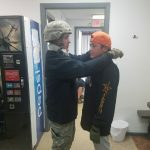 Still, while hunting is a great adventure, the boys love combat competitions. They love to strategize the ways to dominate and “take out” the other team. Zack and Xander tend to pool their strategic resources to obtain the victory. 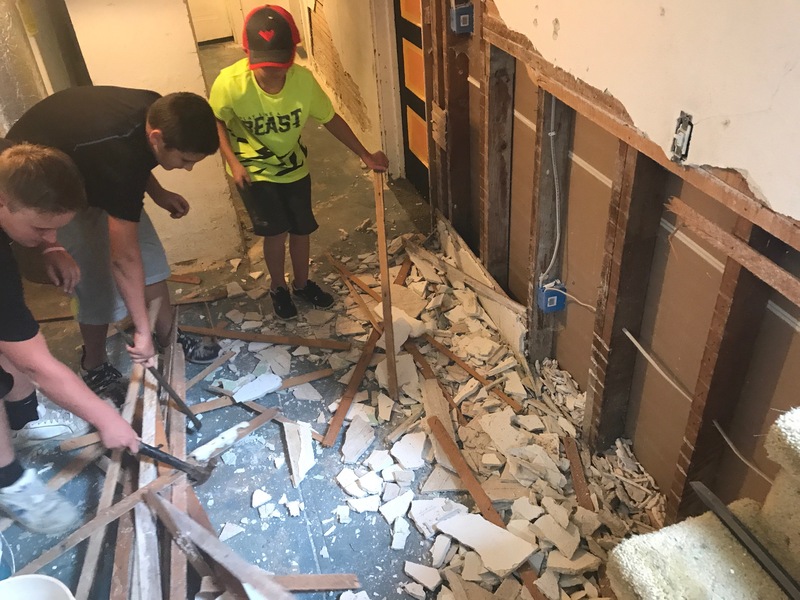 Zack’s dad, Steve Spethman decided to remodel the family kitchen earlier this year, and the boys got to learn about construction by helping their dad do the work. They were very attentive and meticulous about the work, and they learned a lot about the construction business. 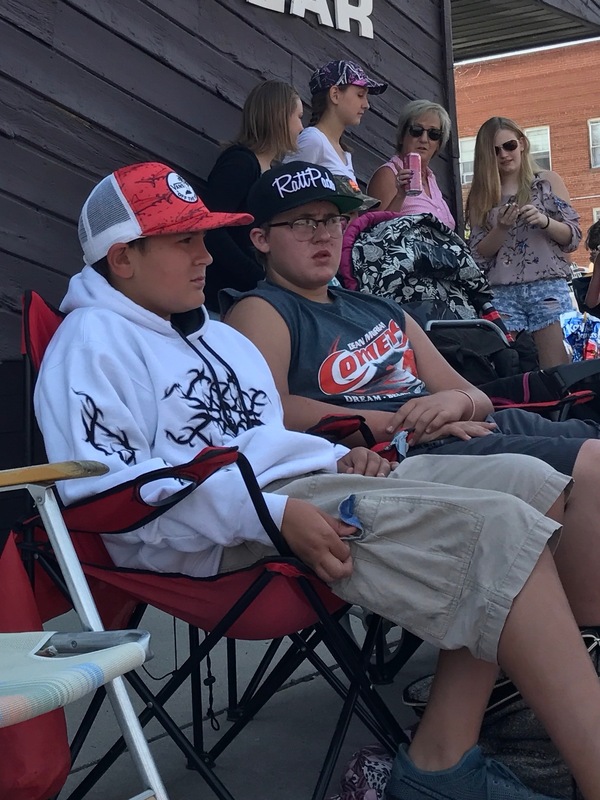 Their dad is a great carpenter, and a great teacher, so they learned from the best. 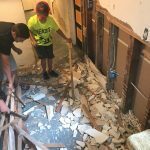 They often work with their dad, and he is teaching them the value of hard work. Their parents have also taught the kids to be responsible for each other and for their little sister, and this is a job Zack takes seriously. He can often be seen encouraging his siblings and assisting his little sister, Aleesia. They are all very close. Zack is such a sweet, kind young man, and we are all proud of him. He is loyal and loving to his family, and helpful to all in need. He is always there to give a hug or a word of encouragement. He is a good student, and is responsible. When he says he will be somewhere, he is. That was never more clear that when he was given an award for the best attendance in football last year. With his winning attitude and awesome personality, I know Zach will go far. He is a blessing to those who know him. Today is Zack’s 13th birthday. Happy birthday Zack!! Have a great day!! We love you!! 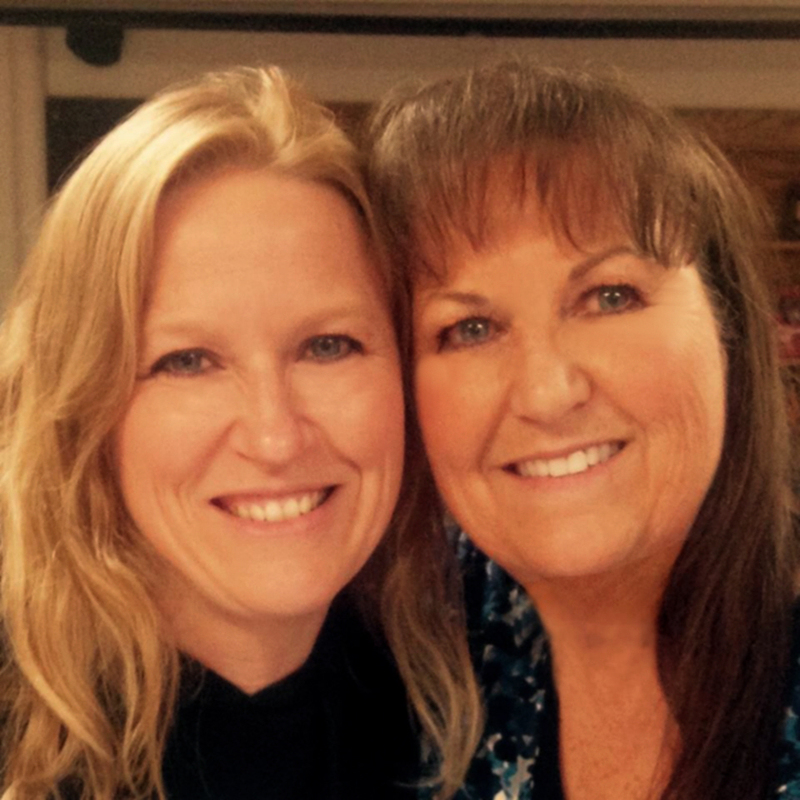 When my parents moved to Superior, Wisconsin, which is where my older sister, Cheryl Masterson and I were born, my mom was a young bride, who was experiencing the first days of marriage and the first time away from her family. I’m sure that was not really an easy time for her, but when she arrived in Superior, she was greeted by my dad’s family, who were the only people she knew there. If you have to move to a new city and state, it is nice to at least have someone that you know and can call family, as well as friend. 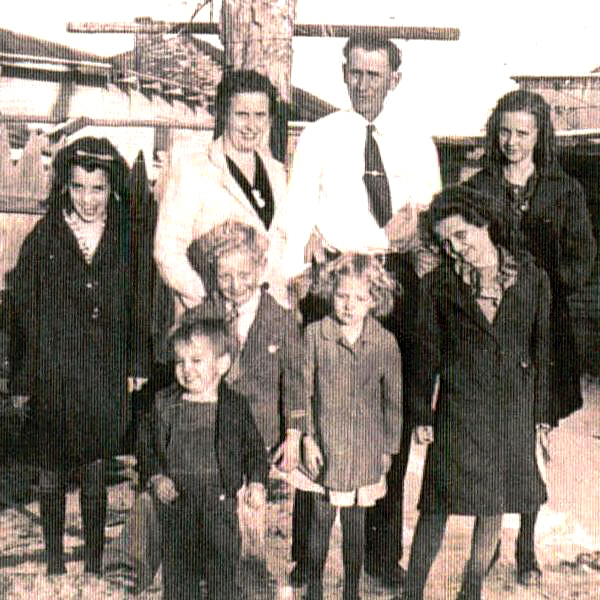 My dad had a large family in the area with whom my mother became quite close, one of whom was my Aunt Doris Spencer, her sister-in-law, and my Uncle Bill’s wife. They spent a lot of time together, and really, had a number of “adventures” together. As young women, they were always weight conscious, and always on the latest diet. I’m sure that they thought it would be easier to diet with a buddy, and many of us have thought the same thing, but as we all know, dieting is never ease, and inevitably, they found themselves starving!! So, as a way of easing the cravings until they could eat something again, my Aunt Doris handed gave each of them one kernel of puffed wheat and said, “Here, this will tide us over until dinnertime!” Now, as we all know that would be like literally eating air, and it would not ease hunger pains in any way, but as every dieter knows, it was worth a try, because they didn’t want to mess up their diet. 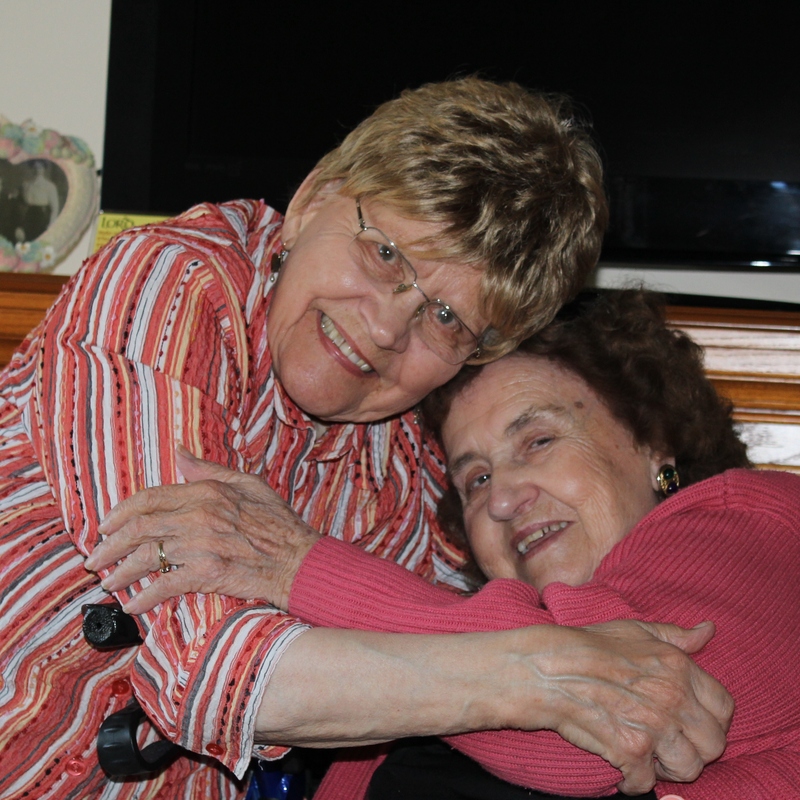 When we moved to Wyoming when I was a little over two years old, it was hard on a lot of people, but I think it was especially hard for my mom and Aunt Doris. While their “adventures” were sometimes silly and sometimes almost crazy, they always had a great time together, and they had become almost like sisters, not sisters-in-law. 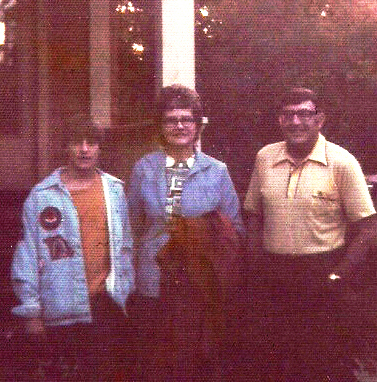 Aunt Doris and Uncle Bill visited us in Wyoming and we visited them in Wisconsin, but it was never quite the same. 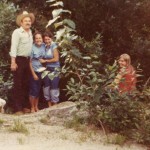 Then a few years ago, my sister, Cheryl and I took Mom to Wisconsin for a visit. it was so amazing to see the two sisters-in-law/friends together again, and I know they felt like it was an amazing reunion too. It was the last trip my Mom would make, but my Aunt Doris is still alive and going strong. 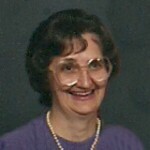 Today is Aunt Doris’ 94th birthday. Happy birthday Aunt Doris!! Have a great day!! We love you!! 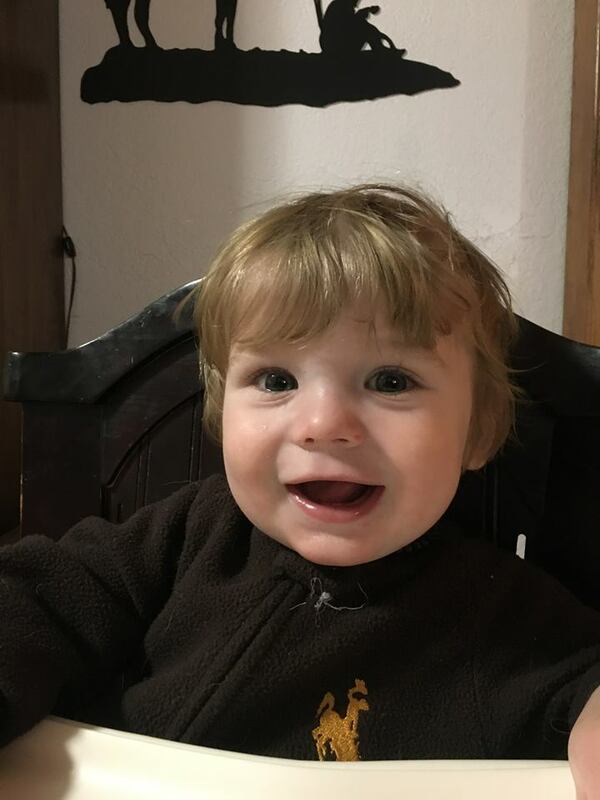 My grandnephew, Bowen Parmely is a sweet little boy, who is the youngest of his parents three children, and their only son. That means that Bowen spends most of his days living in a largely female world, at least when his daddy, Eric Parmely isn’t home. 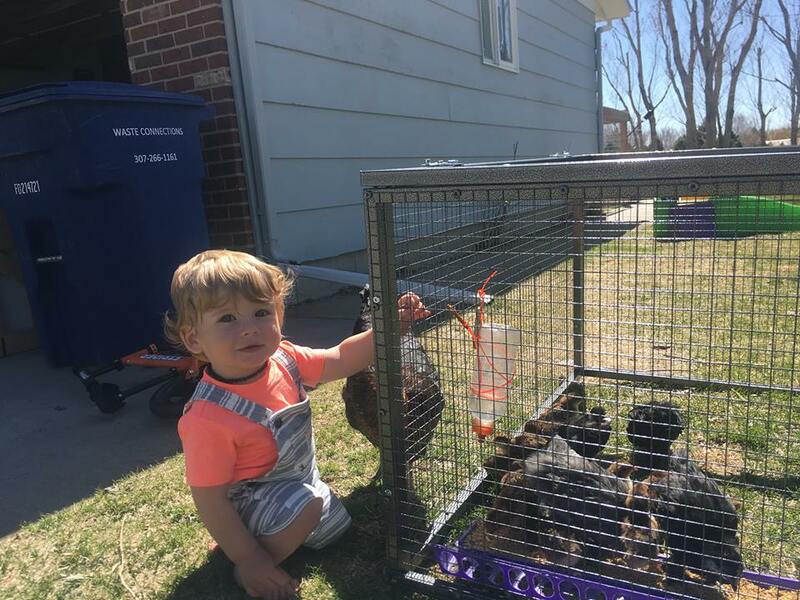 Nevertheless, that does not mean anything, because Bowen’s mommy, Ashley Parmely, and his sisters, Reagan and Hattie are farm girls. 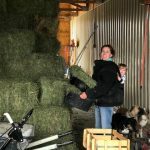 They do all the things that farm girls do, from mucking the stalls, to feeding the animals, to stacking the hay, and any other things that need done on a farm. 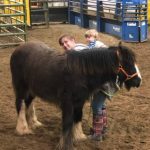 There is not much possibility of raising a sissy boy when he is being raised around tough women like his mom, and even his sisters, who are barely past toddler age themselves, and yet they are experienced farm girls. Bowen’s upbringing has been a bit unusual in that while he couldn’t exactly help out on the farm, he could observe, and learn by doing so. As is typical for kids, work can look like fun…and can even seem like play. 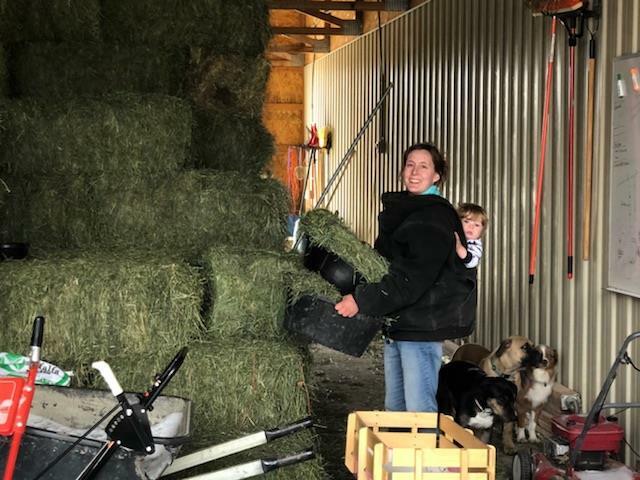 Kids like to mimic their parents, and younger siblings like to mimic older siblings, so just as his sisters learned the occupation of farming, so will Bowen. He has watched his sisters work with the animals, feeling somewhat cheated because he didn’t get to “play” too. Then, when his sisters were in school or otherwise occupied, his mommy would put Bowen in a backpack carrier, and they would go and do the work together. As I said, Bowen’s mommy is tough, and while everyone thought I was tough with a baby in a front pack and a baby in a backpack when I went shopping, looking at Ashley, I don’t think I was so tough. Carrying around a baby, who is growing as fast as Bowen has, while doing farm work is beyond tough, if you ask me. As Bowen has grown, and learned to walk, he is becoming more of a help around the farm. 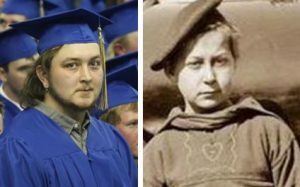 Of course, he may not be as much help as his mommy and daddy would like, and certainly not as much help as he will be as he get older, but every good worker had to start with that first little job, then as they grew, so did their responsibilities. 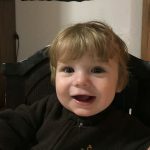 Bowen will become an amazing little farm boy as time goes on, because like his parents, he will learn to love that lifestyle. 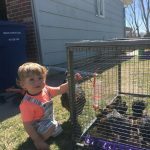 I have no doubt that Bowen will grow up to be as big a help on the farm as his older sisters have. He can’t help but turn out great with his parents training. Today is Bowen’s first birthday. Happy birthday Bowen!! Have a great day!! We love you!! 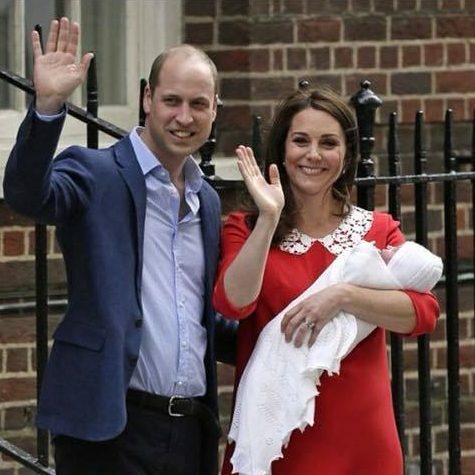 The long awaited birth of the third child of the Duke and Duchess of Cambridge has finally arrived. It’s a prince. I am so excited to have a new royal cousin…my 16th cousin twice removed to be exact. Of course, we don’t know the baby boy’s name yet but he weighed in at 8 pounds 7 ounces, so he was a good sized boy. He is just perfect. It is always so exciting with one of my royal cousins has a new baby. There has been much speculation as to what the couple might name the little prince, with names like James, Phillip, and Arthur. The bookies have started the betting process, so everyone can be involved, Personally I like the names Michael, Phillip and Spencer. In fact I would like a some version of the three together. Time will tell, and until William and Kate inform the Queen of the name, no one else will get to know what it is, but from what I’ve read, the Queen will have no say in the baby’s name. As a grandmother, and soon-to-be great grandmother myself, while I have my own ideas about good baby names, I do not think it is my place to try to force my opinion, and in fact, when I have thought a name would not be the best on for the babies in my family, I have found out that each of their names seem to fit them perfectly. That said, no matter what the name is, it should be totally the decision of William and Kate. We just wish they would hurry up and tell us already!! With the birth of this baby boy, history will be made again. 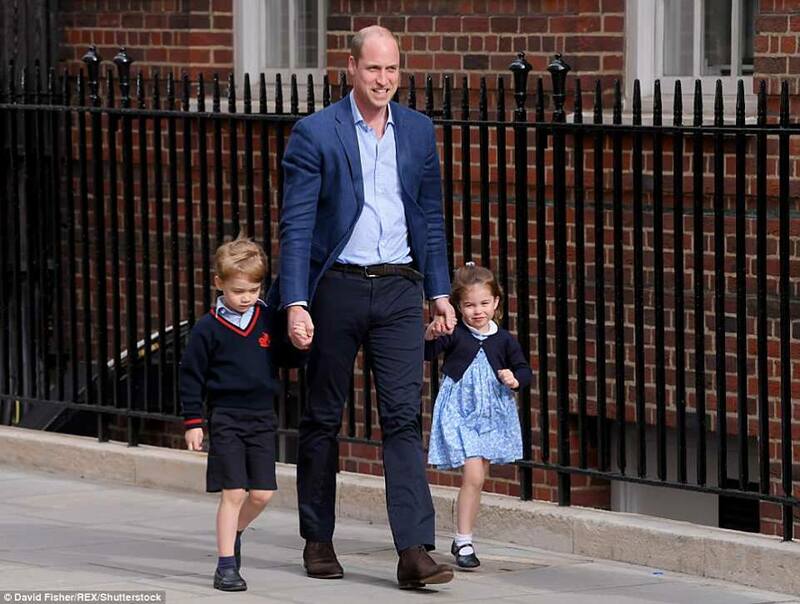 This new baby will be 5th in line to the throne of England, following his grandpa, Prince Charles; his dad, Prince William; his brother, Prince George; and his sister, Princess Charlotte. 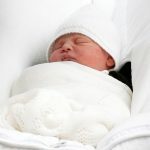 In times past, Charlotte would have fallen after this new baby, but the law changed before her birth, and she now holds her line in the succession to the throne. 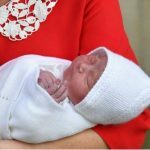 Many people are not sure how they feel about that, but since her great grandmother, Queen Elizabeth has successfully ruled England for many years, it would be hard to dispute Princess Charlotte’s ability should that position ever arise. This baby also moves Prince Harry, William’s brother, to 6th place in the line of succession, which pretty much guarantees that he will never be the King of England, unless something huge happens, which I pray it never does…obviously. So, as an eventful first day of life comes to an end for the little prince, who was born of Saint George’s Day, a big holiday in England, we go to sleep still wondering what this little man will be named. Not that he really cares either way right now. After all, he has had a busy day, and all he really wants is dinner and a soft bed. Happy birthday sweet little HRH Prince of Cambridge, which is his official title. We look forward to knowing your name very soon. Congratulations to the Duke and Duchess of Cambridge. We are so happy for you!! My Aunt Delores Johnson was always a sweet, kind, loving, and sincerely genuine person. She loved her family, and she made sure they knew it. From her young years she was a joy to her parents and to her siblings, always finding ways to make them laugh. This endeared her to them for the rest of her life. Aunt Dee, as she was always known to most people, liked sweet rolls. When she was sick, and didn’t feel like eating, of course, the sweet rolls were not something she could handle, so when she finally asked for sweet rolls, it was a great relief, because it meant that she was getting better. I’m sure that sweet rolls were offered to her when she was sick, in the hope that she would want them, thus indicating that she was on the mend. Aunt Dee loved kids and never spoke a harsh word to any of us…at least not to her nieces and nephews. I can’t speak to how she might have been if one of her four children, Ellen, Elmer, Darla, or Delwin were in trouble, but then what parent hasn’t yelled at their child at one point or another. 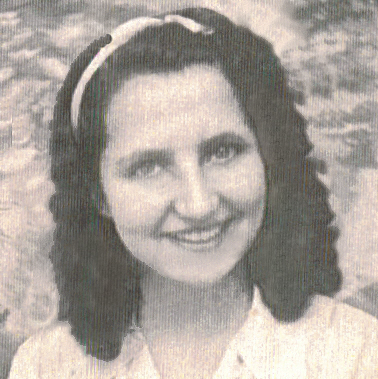 Nevertheless, her children always knew how much she loved them, as did all of her nieces and nephews. Aunt Dee and my mother, Collene Spencer, who was her younger sister, were good friends, on top of being sisters. 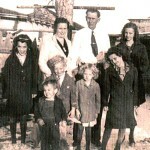 They just liked spending time together, and I can’t help but think that they are having a great time in Heaven, along with their husbands, Elmer Johnson, and my dad Allen Spencer; their parents, George and Hattie Byer; siblings, Evelyn Hushman and Larry Byer, as well as brothers-in-law, Jack McDaniels and Bill Beadle. I’m sure there’s a lot of laughter going on, because that’s the kind of thing that always happens when Aunt Dee is around. There is joy in Heaven because they are all together again. Personally, I can’t wait to get there myself, to see them all again. Aunt Dee always had something nice to say. Like everyone in this life, Aunt Dee had her share of storms, but she weathered them all, and was still always kind to the underdog. 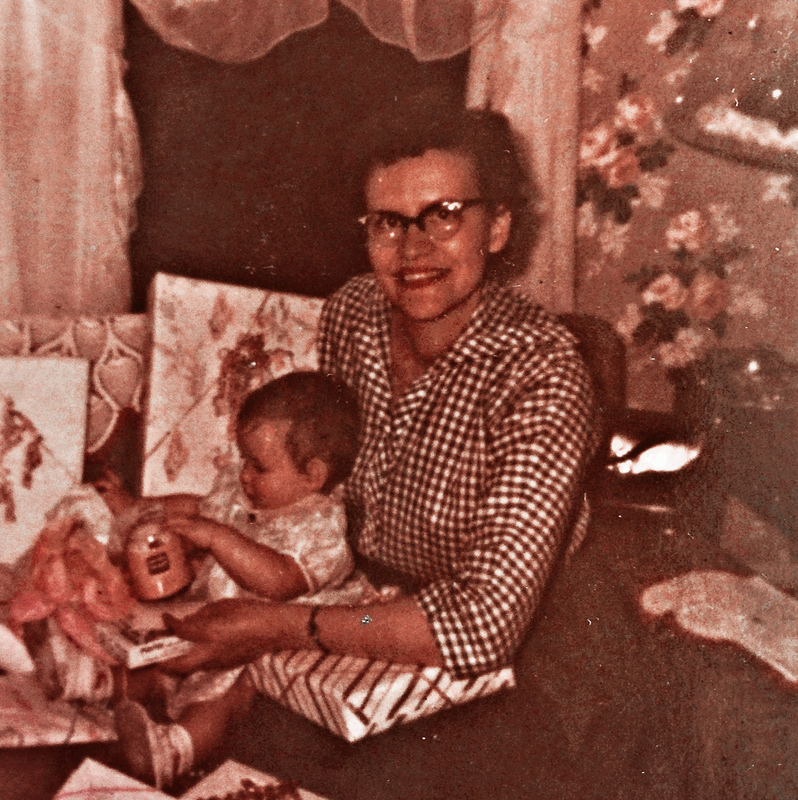 She was a very good-hearted woman, and we all loved her very much. In 1996, Aunt Dee was diagnosed with Brain Cancer. This time there would be no request for sweet rolls to set at ease the minds of all who loved her. 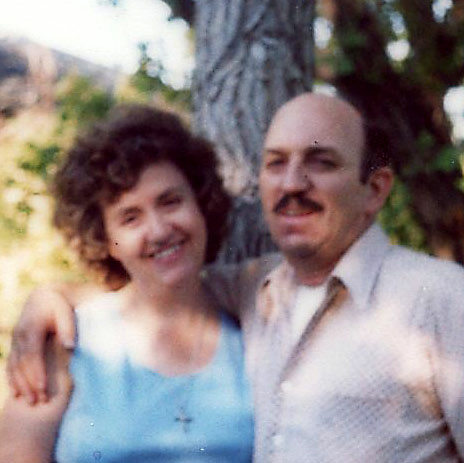 Aunt Dee passed away on October 6, 1996, and I still can’t believe she is gone. I miss her sweet smile and her joyful ways. Today would have been her 87th birthday. Happy birthday in Heaven Aunt Dee. We love and miss you very much. Who fired the shot that killed Richthofen? And who was Richthofen anyway? First, Richthofen was also known as the Red Baron. Manfred Albrecht Freiherr von Richthofen was born on May 2, 1892. He was a fighter pilot with the German Air Force during World War I, and is considered the ace-of-aces of the war. He was officially credited with 80 air combat victories. Nevertheless, as it goes with fighter pilots, their lives are always in jeopardy, and not all of them will come out of war alive. Such was the case with the Red Baron. The end came for him on April 21, 1918. It’s possible that he made mistakes on that final flight. Richthofen was a highly experienced and skilled fighter pilot, who was fully aware of the risk from ground fire. Furthermore, he concurred with the rules of air fighting created by his late mentor Boelcke, who specifically advised pilots not to take unnecessary risks. With that in mind, one must wonder if Richthofen’s judgement during his last combat was unsound or somehow compromised. Several theories have been proposed to account for his behavior. 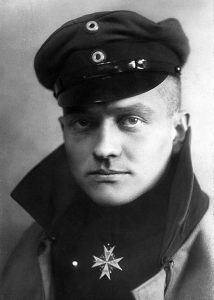 In 1999, a German medical researcher, Henning Allmers, published an article in the British medical journal The Lancet, suggesting it was likely that brain damage from the head wound Richthofen suffered in July 1917, played a part in the Red Baron’s death. This was supported by a 2004 paper by researchers at the University of Texas. Richthofen’s behavior after his injury was noted as consistent with brain-injured patients, and such an injury could account for his perceived lack of judgement on his final flight…a flight in which he was flying too low over enemy territory and suffering target fixation, which is an attentional phenomenon observed in humans in which an individual becomes so focused on an observed object, that they inadvertently increase their risk of colliding with the object. Many sources, including a 1998 article by Geoffrey Miller, a physician and historian of military medicine, and a 2002 British Channel 4 documentary, have suggested that Sergeant Cedric Popkin was the person most likely to have killed Richthofen. Popkin was an anti-aircraft (AA) machine gunner with the Australian 24th Machine Gun Company, and was using a Vickers gun. 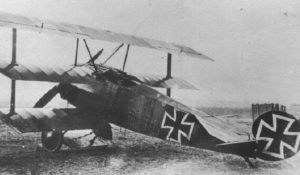 He fired at Richthofen’s aircraft on two occasions…first as the Baron was heading straight at his position, and then at long range from the right. Given the nature of Richthofen’s wounds, Popkin was in a position to fire the fatal shot, when the pilot passed him for a second time, on the right. Some confusion has been caused by a letter that Popkin wrote, in 1935, to an Australian official historian. 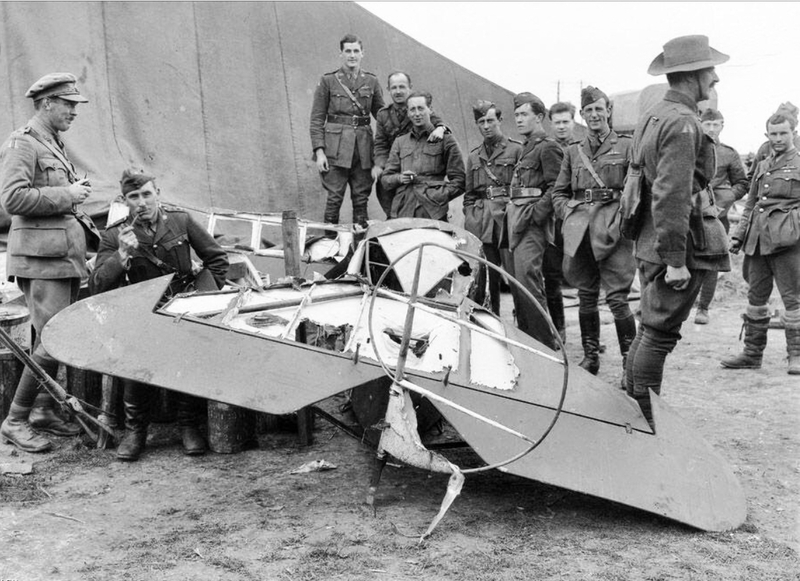 It stated Popkin’s belief that he had fired the fatal shot as Red Baron flew straight at his position. In the latter respect, Popkin was incorrect. The bullet that caused the Baron’s death came from the side. 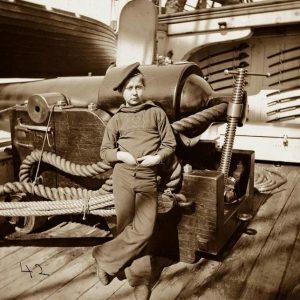 A 2002 Discovery Channel documentary suggests that Gunner W. J. “Snowy” Evans, a Lewis machine gunner with the 53rd Battery, 14th Field Artillery Brigade, Royal Australian Artillery is likely to have killed Red Baron. Miller and the Channel 4 documentary dismiss this theory, because of the angle from which Evans fired at Richthofen. 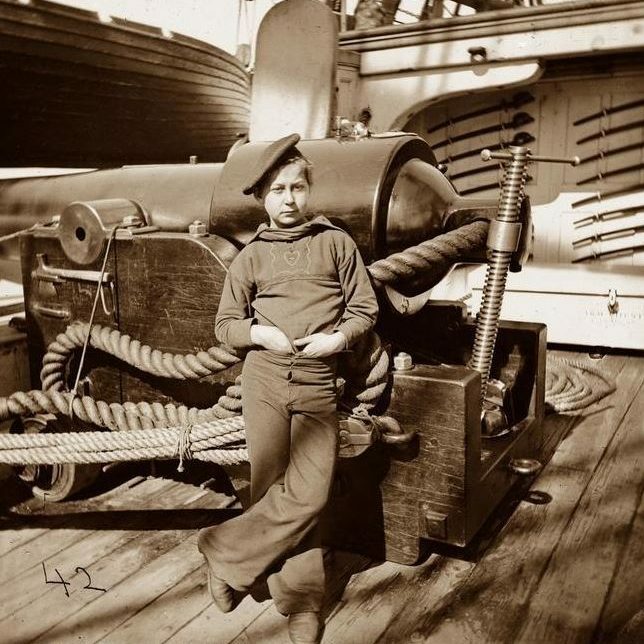 Other sources have suggested that Gunner Robert Buie, also of the 53rd Battery, may have fired the fatal shot. There is little support for this theory. In 2007, a municipality in Sydney recognized Buie as the man who shot down Richthofen, placing a plaque near Buie’s former home. Buie, who died in 1964, has never been officially recognized in any other way. 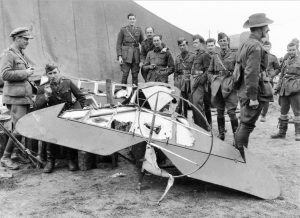 I suppose that, in reality, we will never really know for sure who killed Red Baron, but the theories present an interesting puzzle, and one that will most likely never be solved.